Construction on the most slender skyscraper in the world has been advancing at lightning speed, and now, YIMBY can confirm that 111 West 57th Street has reached another major milestone. Our last update, just over a month ago, missed an obscure but significant achievement. With additional progress since, we can see that the Midtown project has officially passed its first setback, on the 45th floor. 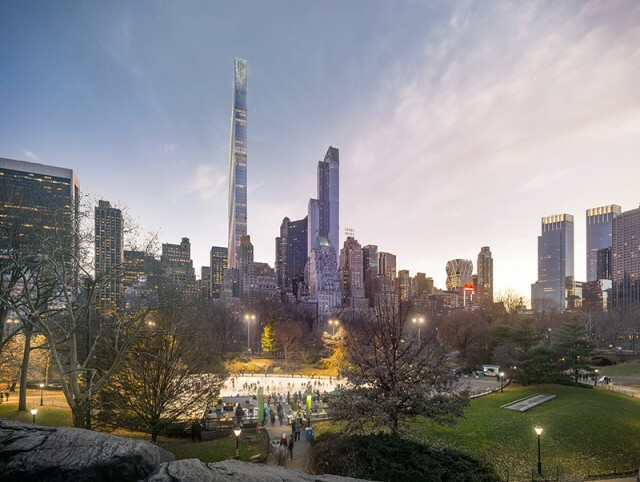 This is the first of twelve setbacks that will end with the steel truss cap, which will ultimately define the striking silhouette of 57th Street’s second-tallest supertall. 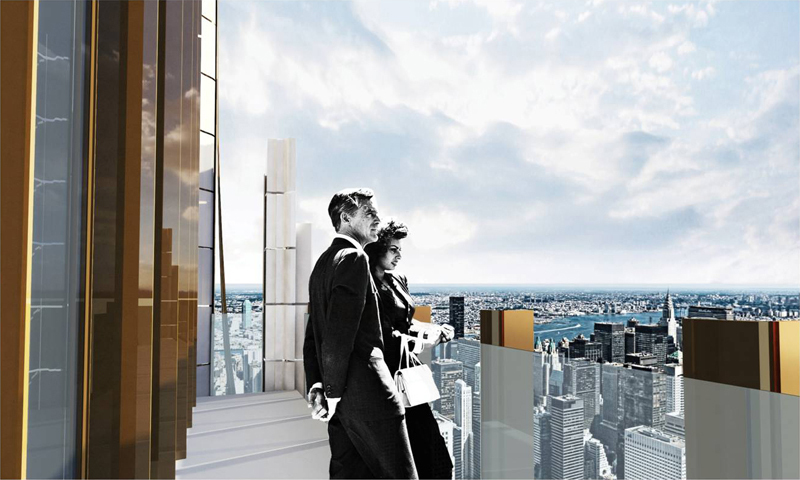 The setbacks on the 82-floor tower will make space for several unique outdoor terraces. SHoP Architects is responsible for designing the tower. The engineering masterpiece is covered on the northern and southern facades with a transparent curtain-wall glass, with the west and east facades decorated by bronze and terracotta cladding. The terracotta is shaped deliberately to interact with the sun and create a sweeping play of shadow and light. This interaction with the sun is already starting to be evident. Façade installation is about a dozen floors beneath the setback. A massive 800-ton tuned mass damper will crown the project, designed to minimize movement and vibrations. It will be the heaviest in the world, surpassing Taipei 101’s 730-ton tuned mass damper. 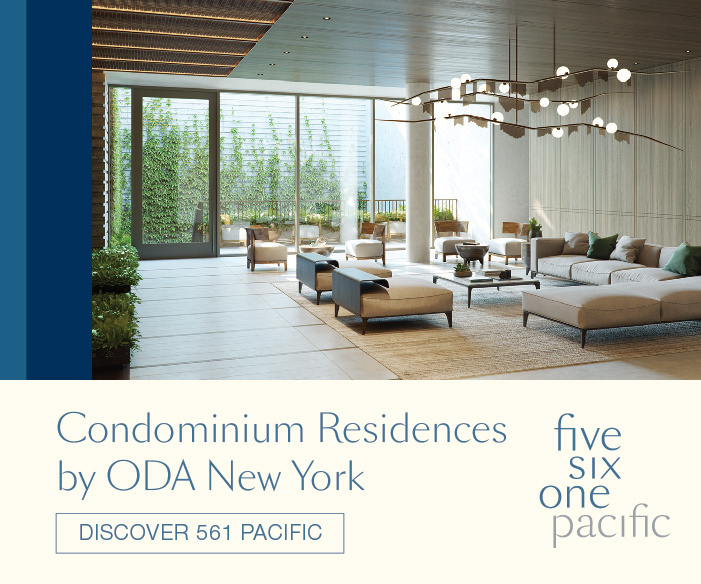 111 West 57th Street’s damper will have the equivalent weight of just over three and a half Statues of Liberty. JDS Development and Property Markets Group are responsible for the project. 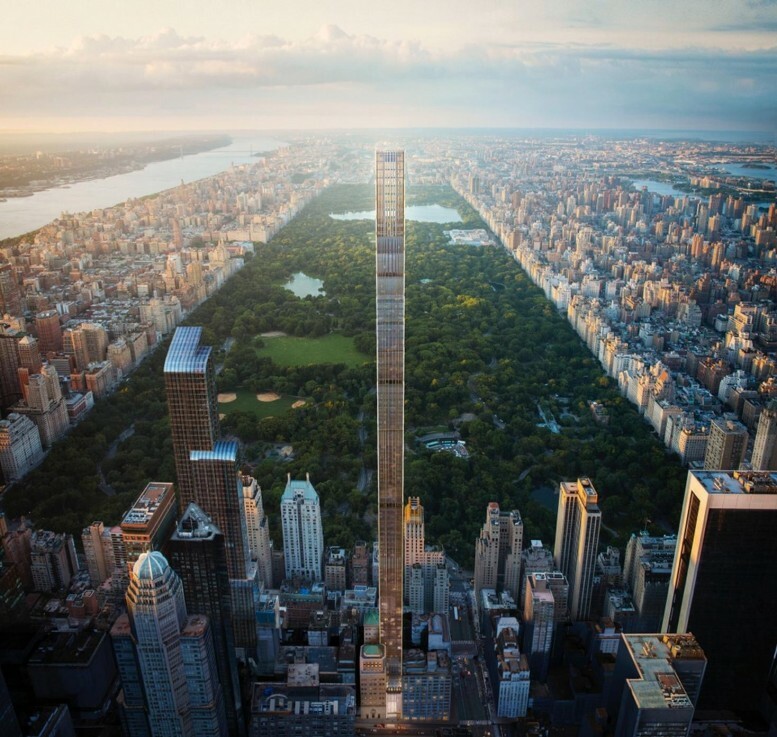 The 1,428-foot tall structure will yield roughly 400,000 square feet within, and create 60 condominiums. 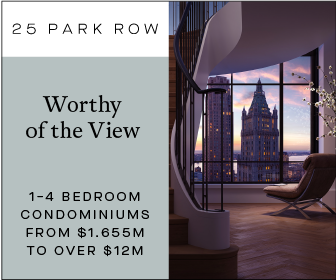 Prices start at $15.5 million, with the penthouse listed for $59 million. The projected total sellout is $1.45 billion. 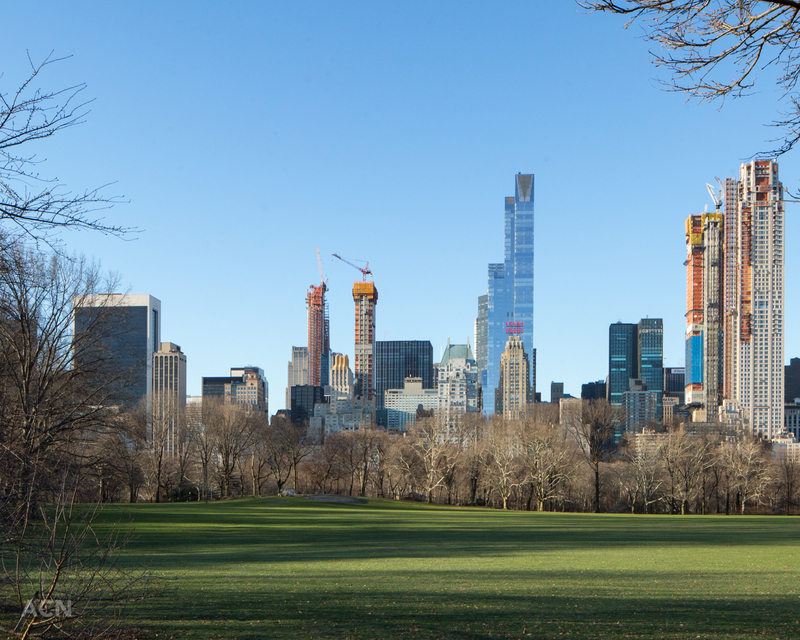 Incredibly, despite being less than three hundred away from supertall-status, the building has not yet made a prominent mark on the skyline. 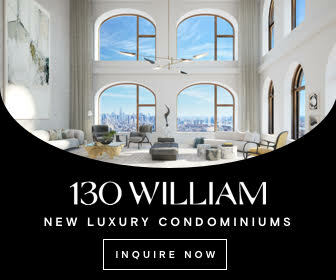 Observing the midtown skyline from Downtown Manhattan, the structure is easily confused with the nearby and recently topped-off 53 West 53rd Street. However, this is likely to change substantially over the next few months, as SHoP’s design begins to puncture the Midtown Plateau more thoroughly. 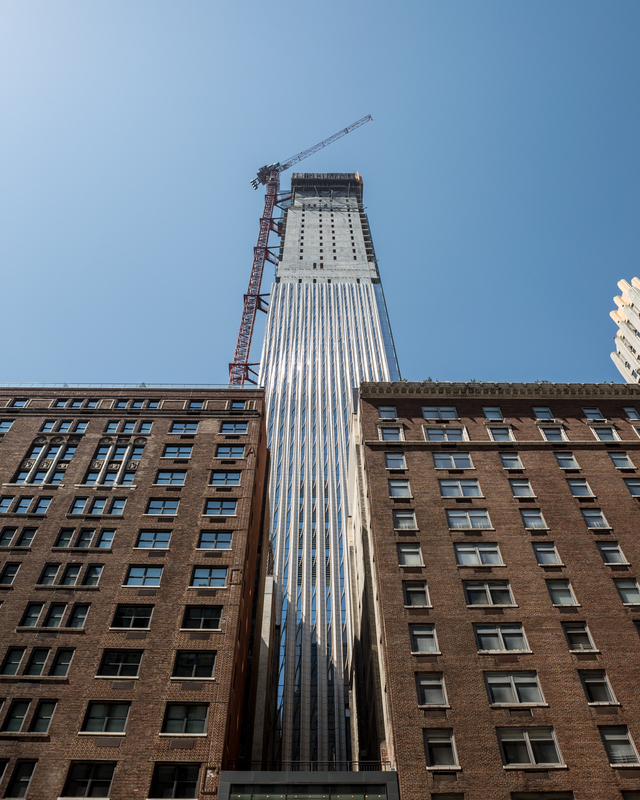 The structure will reach supertall heights between the third and fourth setbacks. An estimated completion date has not been announced, but can likely be expected during 2020. JDS optimistically expects occupancy as early as 2019. 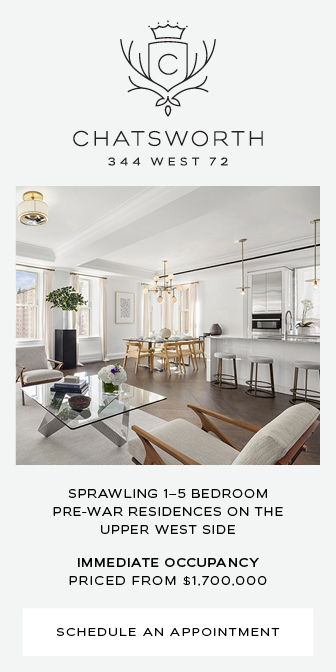 14 Comments on "Tapering Begins As 111 West 57th Street Reaches For 1,428-Foot Pinnacle"
Well at those prices I certainly hope that the two elevators are as quiet as possible – and not next to bedroom walls. And besides elevators, which are useless in a fire, I assume their are shielded fire stairwells leading to the concourse – as found in modern high rise office buildings? All these necessities take up space in an single floor apartment of course…. If you go to https://bit.ly/2HLl74H and scroll down the page as suggested in my posted reply to Monath, you’ll be able see the fire-escape stairs as required by NYC codes. As to your concerns about elevator sound transmission, the elevator shaft walls are massively thick concrete except for the lobby areas on each floor where of course the elevator doors are located, and also design technology is such today that elevator sound levels are remarkably low. The elevators are not located immediately adjacent to bedroom spaces as can be seen from the floor layout. 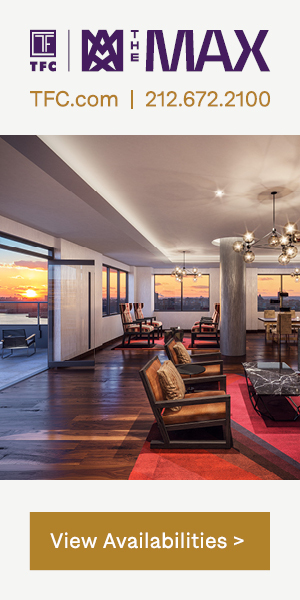 At the end of the day, what is or isn’t excessive elevator sound is subjective obviously and potential purchasers of the condo units will make their own judgements. 1. Does anyone know the source of the (composite) cladding panels? Story-height glass cladding panels are frequently sourced in China but the panels for this tower are not run of the mill, hence my reference to composite. So much these days seems to be procured offshore. There’s a residential tower designed by the late Zaha Hadid going up in Miami right now which has GFRC cladding panels which are being fabricated in and shipped from Dubai in the UAE. 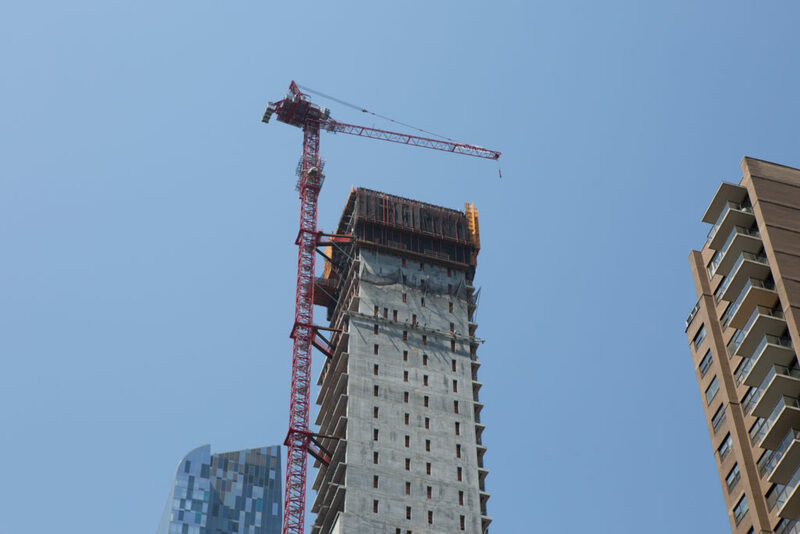 The prefabricated components of the “Vessel” in Hudson Yards were made in Italy. The observation deck at 30 Hudson Yards was fabricated in Italy. is fully installed & in place, and in the interim NYC is hit by a hurricane or substantial windstorm? Is the unfinished building without it’s damper in place in any danger of collapse? Secondly this talk of composite “cladding” makes me think of that recent terrible fire tragedy in a high rise residential building in England. I assume that this “cladding” is thoroughly fireproof? On reflection, composite is somewhat ambiguous. I meant that the cladding panels on two elevations comprise narrow panels of story-height glass framed in polished bronze alternating with terracotta ones of a similar width. For construction purposes, multiples of these will be mounted on a sub-frame to make for efficient installation. There is no inherent fire risk like the Grenfell Tower tragedy in London where the cladding panels were quite different in design. On your question of whether the structure is safe prior to the mass damper being installed and made operational, I believe I can answer that in one word: yes. To be structurally safe, it doesn’t need a damper. However, humans can perceive changes in rate of change of speed down to a fraction of ‘G’ but cannot detect constant speed without some external reference. For example, we are all traveling around the Sun on this Earth at 67,000 MPH but are unaware of it. The tower will sway and by an increasing amount as you near the top due to wind forces. Without a damper, occupants would be able to detect the acceleration and deceleration of the sway motion down to the level of human perceptibility. The secondary effect of this for most is a feeling of queasiness. Now, obviously if you’re paying $59m for a penthouse condo, the developer can’t risk that happening! The building will still sway, it’s designed to (and it would take too long to get into why here) but the rate of change of speed is reduced by the damper so that occupants will be unaware of it. Many, very tall structures worldwide built for human occupation (office and residential) either exist or are currently under construction incorporate mass dampers in their design and they remained / will remain safe until the dampers were / are installed. Hope this helps. It’s a gorgeous, likely iconic, tower. But I simply cannot imagine living in a structure like that, so tall and slender. I would forever be terrified. I hope this supernal grows on me, but so far it hasn’t made a dent. It’s simply to slender. Quick one – Who is designing and supplying the TMD on this project? Have they done this before? The panels are fabricated in Mexico. As far as the 800 ton mass damper, I have no idea. 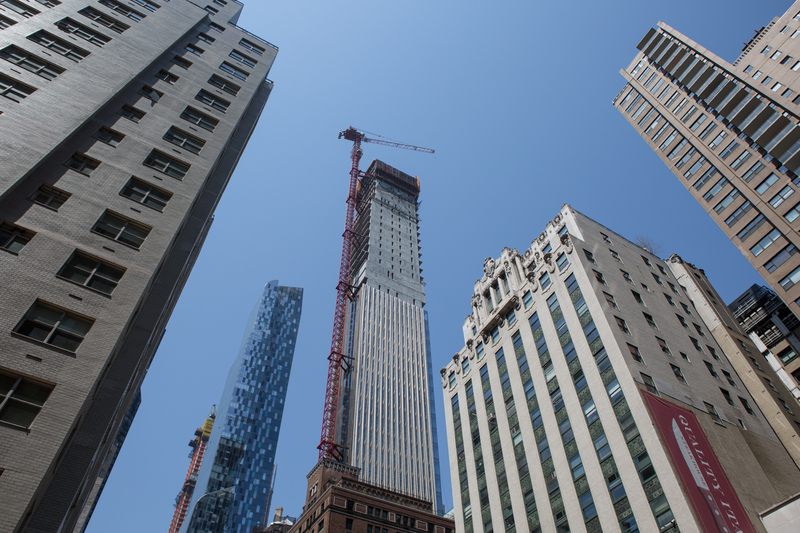 These disharmonious structures are proliferating NYC’s skyline. They are trite, uninspired constructions clad with glass and metal panels, devoid of any real artistic value when compared to recent skyscrapers built in China, Southeast Asia and UAE. NYC has truly become a second class city with no master plan and no vision for the future. Even visitors arriving at the JFK airport are confronted with ugly and disorganized buildings and chaotic vehicular traffic patterns. Even the airport in Seoul, Korea is more esthetically pleasing and better organized than any of the NYC airports.